GPS Snitch, on one hand, could be viewed as a device for an over-protective parent. But on the other hand, it could be extremely useful for busy metropolitan areas where you never park in the same spot. 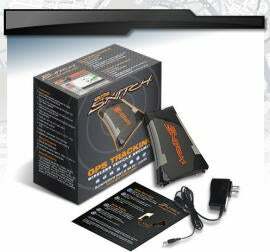 GPS Snitch attaches anywhere in your car and only needs to be connected to a 12V power source. It then uses GPS and cellphone technology to pinpoint the location of the vehicle.